Many designers incorporated them into their Fall 2017 collections with varieties from classic wool to leather and colorful options to even furry versions. I have mine from a few years back and I can honestly say that it's a total fall/winter staple in my closet. 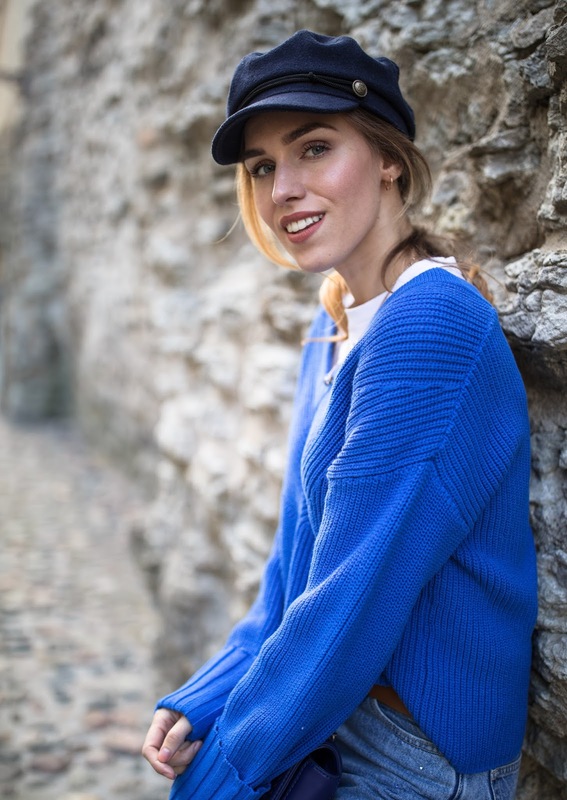 Styled with either jeans and a sweater as I did in this post or instead with a dress and a pair of heels, the newsboy hat gives every outfit a cool touch! Not to mention, extra points for working as a bad-hair-day saver and keeping your head warm during the coming colder months. That's a cute cap indeed. Those sweaters look sooo comfy as well. Looking really pretty out there babe.